Franklin Ridge Healthcare Center was founded in 1974. The Coury family assumed its operation in September 2008 and is proud to continue the legacy of Robert M. Coury in providing compassionate care and services to current and future generations of seniors. The immediate goal at Franklin Ridge was to provide an overall renovation and update to the facility. Nearly one million dollars later, that goal was achieved and this beautiful facility carries on the tradition of caring to all it serves. The focus of care and services at Franklin Ridge has evolved to meet the needs of short-stay patients who require skilled nursing and rehabilitation services with the goal of returning to the community and maximizing their independence. 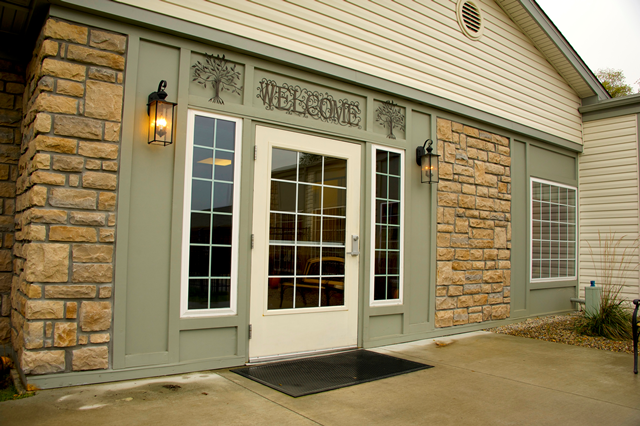 Franklin Ridge also maintains its tradition of caring for those who call our center home, ensuring their personal preferences are met within a nurturing and supportive environment. See how our mission, principles and values guide the team at Franklin Ridge and contact us to request more information. I think the nurses and all the rest of the help here have been really good to my sister. Even the ladies in the laundry room always stop a few minutes to talk. The meals are good also.